General Motors’ 2019 Chevrolet Silverado 1500 and GMC Sierra 1500 trucks are completely new from the top down and ground up. 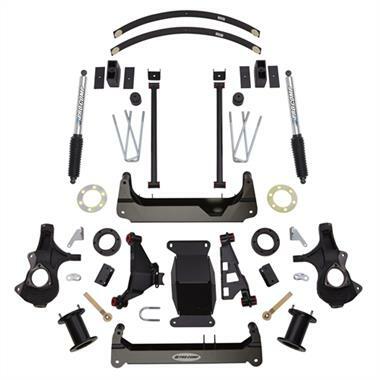 The new chassis design gives Pro Comp the opportunity to offer their highest performing GM suspension system to date. 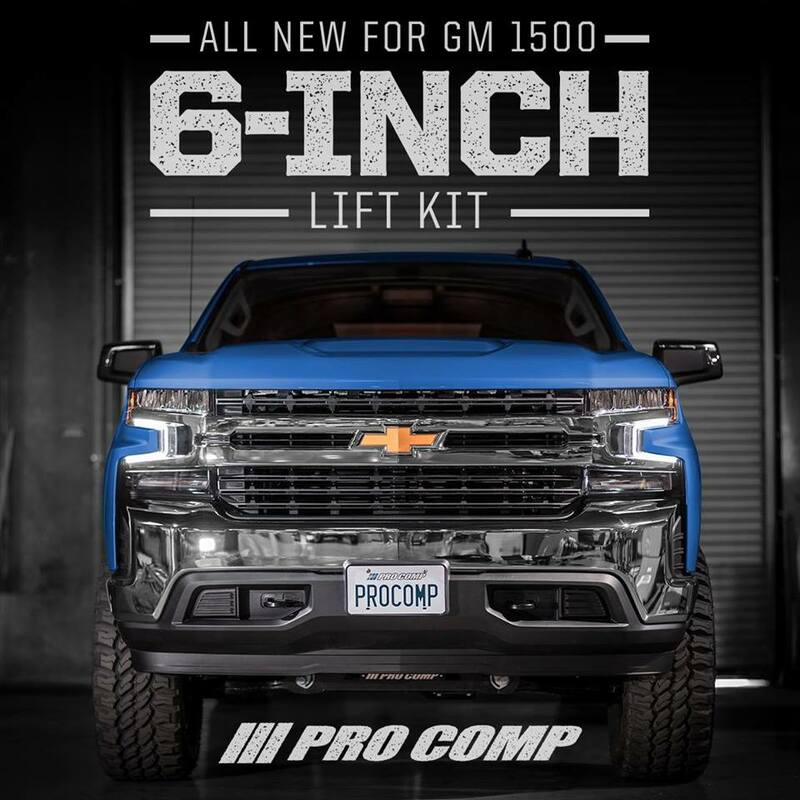 Engineered for use with 20″ or larger diameter rims, Pro Comp’s newest 6-inch lift kit provides the perfect height to clear 35″ tall tires for all terrain use and enhances the aggressive appearance of GM’s half-ton trucks. 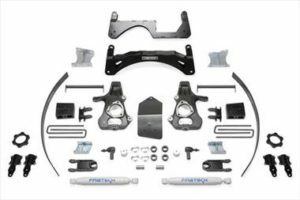 New high strength extended steering knuckles retain factory steering geometry to make a Pro Comp-lifted GM 1500 4WD drive, steer and handle beyond expectation. 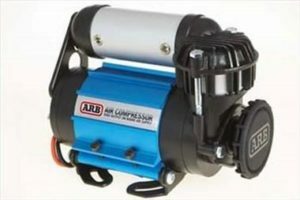 Front lower crossmembers and a differential skid plate are precision-constructed from 3/16″ thick steel plate to provide added strength to the chassis and protection for the front differential. Upper strut spacers retain the factory-tuned struts for same-as-factory ride quality. Rear lift blocks, U-bolts and ES9000 shocks provide a level stance and maintain factory load capacity.